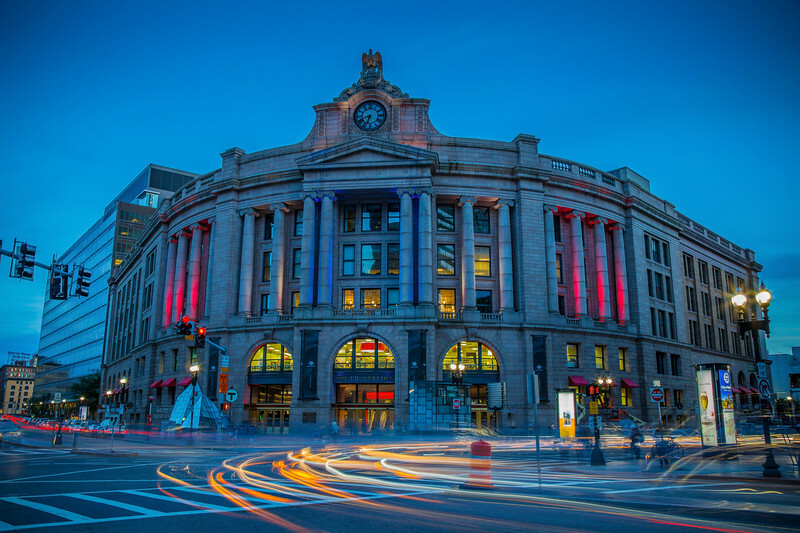 The South Station in Boston, Massachusetts, is not typically mentioned as one of the "must see spots" when spending some time in Boston. Notwithstanding I very much like the place and the neat illumination in the evening twilight. The shot was made just at rush hour, when the commuting cars were kindly leaving a lot of impressive light trails.